TPP is proud to be working in exclusive partnership with Article 25 to recruit a Fundraising Manager on a permanent basis, based in One Canada Square Canary Wharf London. Article 25 is a humanitarian architecture charity that designs and builds schools, hospitals, clinics and housing in the global south to improve livelihoods and generate greater community resilience in the face of poverty, disaster and conflict. 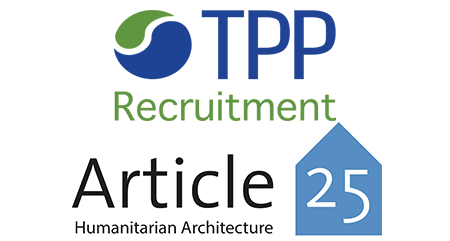 To do this Article 25 partners with leading charities, government agencies, United Nations agencies and others to deliver humanitarian infrastructure where it is needed most. To date, they have delivered more than 90 projects in 34 countries, making them experts in their field, and one of the most impactful architecture charities in the world. The charity has had recent success with corporate, major donor and trust fundraising. They are keen for an individual to build on this success and to actively seek out philanthropic opportunities within these areas. Additionally, Article 25 is keen to develop its portfolio of community fundraising and events. From this you could be involved in implementing or developing a range of special events, such as Gala dinners and adventure fundraising, to enhance the charities fundraising offer to prospective supporters. Finally, you will seek to create a community of regular givers acting upon your own initiative but supported by a team of staff and volunteers who are all actively committed to making fundraising a big success for the charity. This is a unique opportunity to make the role your own. You will be fully supported and encouraged by The Managing Director and Projects Director. It doesn’t matter what your fundraising background is, generalist or specialist. You will be a ‘real doer’ who is happy to get in and get going on multiple areas of fundraising. You will have sound fundraising knowledge including best practice and legislation. Ultimately you will have a great track record in fundraising, from any income stream, with demonstrable income success. If you would like to play a key part in this organisation, please email your CV to fundraising@tpp.co.uk or call Patrick Dunn on 020 7198 6040.